Xiaomi Forms African Business Unit. What Will It Do Next? Xiaomi's African business unit will be formed in order to promote expansion in Africa. Wang Lingming will be the in-charge of the African business unit and report to Wang Xiang. It can be seen Xiaomi’s global rollout is on the way. Xiaomi's African business unit will be formed. PHOTO: rawpixel/Unsplash. EqualOcean mentioned previously Xiaomi (小米) opened its largest European in France. While at the same time it published an announcement saying that the African business unit will be formed in order to promote expansion in Africa. Wang Lingming (汪凌鸣) will be the in-charge of the African business unit and report to Wang Xiang (王翔). It can be seen Xiaomi’s global rollout is on the way. Backed to 2015, Raymond Tian, Xiaomi’s Global Strategy Director, considered Africa as the next frontier for smartphone growth and started to work with Mobile In Africa Group (MIA Group) to distribute Xiaomi phones to key countries in Sub-Saharan Africa, starting with South Africa, Nigeria, and Kenya. The first two phones launched in Africa were Redmi 2 (costing USD 160) and Mi 4 (USD 320). Xiaomi’s performance in the African market has not been mentioned in its published report though. In 2015, smartphones receive a 66% year-on-year Q1 increase and accounted for 47% of the mobile phones bought in Africa, IDC says. IDC also predicted that total smartphone sales in the Middle East and Africa (MEA) region will reach USD 155 million this year. In Q3 2018, despite the African phone market in Q3 declined 2.1% with feature phones and smartphones declined by 2.7% and 1.3% quarter-on-quarter respectively. IDC reckons the African’s phone market will reach USD 58 million in Q4 2018. For now, feature phones take the majority share of African’s overall phone market. Now, the African market has been dominated by a Chinese phone maker Transsion (传音), which has never sold any phone in China and has no obvious plan to enter the home market. African Business magazine published 2007-2008 Brand Africa 100 ranking Transsion as the 7th admired brand in Africa. It has three brands which are Tecno, Infinix, and Itel. It leads the feature phone space in Q3 2018 with a combined share of 58.2% and is ranked at the second place in the smartphone market (21%). Transsion’s success in Africa can be attributed to its deep localization strategy by adding locally targeted features. For example, it improves the algorithm on its smartphone camera to allow more light exposure boosting photo clarity for darker-colored skin. 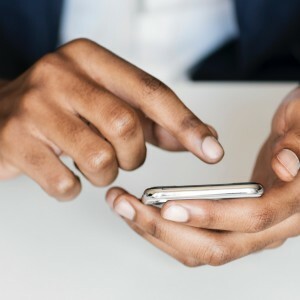 It also introduced dual-SIM-card phone targeting Africans who use two cards to reduce call rates charged by different telecommunications companies but cannot or reluctant to buy two phones. Transsion's dominance in the African market raises a doubt that how Xiaomi can be a hit in the same market. If it localizes its products significantly, then the consistency of its brand image might be negatively affected. Although the feature phone is the current mainstream in Africa, it might be awkward to see Xiaomi start to produce feature phones as an out-of-date option. While, if it refuses to adjust its products to meet local tastes and needs, then it might be hard to expand as African users might be demanding some other functions which are not involved in Xiaomi’s current phones. Transsion’s success in Africa has helped draw in other Chinese phone brands. Huawei, Oppo, Vivo etc. all started to emphasize African markets where they consider is the world’s next big growth market. When more rivals coming in, the price war is a highly likely strategy for those phone markers to win the African market. By then, it might raise another concern that whether Xiaomi will be involved in the price war or launch cheaper phone options to win market share but lose overall profit. Regarding the top management of Xiaomi’s African unit - Wang Lingming and Wang Xiang, both seem to have sufficient experiences in the phone-related industry and companies. Wang Lingming joined Xiaomi in 2018 and worked as vice-president of Tiaynyu (天语, a phone manufacturer) and T.Word (话机世界, a platform offering phone recharge services). Wang Xiang joined Xiaomi in 2015 and previously worked for Qualcomm (13 years), Motorola and Agere etc. However, neither of them seem to have previous remarkable successful experience in leading a Chinese brand to win the No.1 or 2 positions overseas. Thus, it might raise a question that if they can lead Xiaomi outpaces Transsion is unknown. In addition, risk factors should not be ignored while considering the African business opportunities. For example, the continent ranks lowest amongst global regions in the Corruption Perceptions Index (CPI), an important corruption measurement, and six out of the bottom ten countries are African, according to Transparency International.